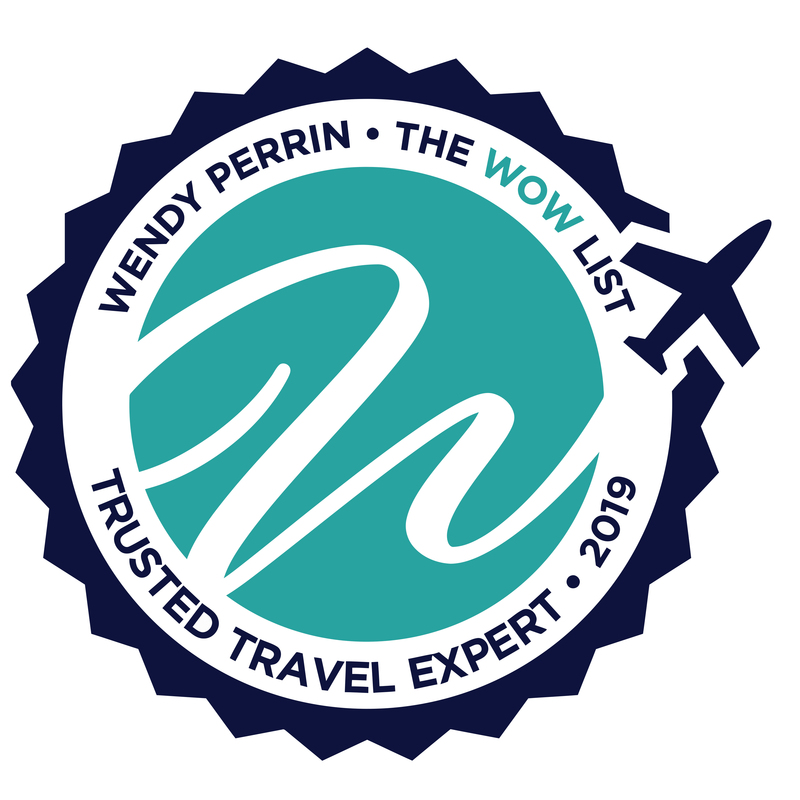 Donna Thomas is on Wendy’s WOW List of Trusted Travel Experts for her expertise and connections in New Zealand. The reviews below are from real travelers who’ve taken trips that were arranged by Donna and monitored by Wendy. Don’t miss Donna’s Insider’s Guides to the Bay of Islands and New Zealand. I was hesitant to use a travel planner since I have been managing our trips for years. This trip has changed my mind! Donna Thomas and her daughter Kori Clark helped me plan an amazing 60th birthday trip with my husband and two of my adult sons. They tailored the suggestions exactly to the needs and wants that I stated up front. Every guide and accommodation was as described and expected. In many cases the people involved far exceeded our expectations. They all have long term relationships with Donna’s team and they are invested in making us happy! I cannot think of a travel specialist who has ever exceeded my expectations to this degree. One can not plan a trip to New Zealand without at least considering her team. Not only were they there in the planning but they stayed with us for the whole trip through email or their on the ground representatives. AMAZING! A friend and I used Donna Thomas and her team to plan our 18 day trip to the South Island. This was our first experience with Wendy’s WOW list and we could not have been happier. Kori Clark and Nancy McCabe were our travel planners. We had fun working with them and appreciated their thorough knowledge of everything Kiwi. Together we planned an itinerary and added lots of activities like hiking, biking, wine tasting, and star gazing. One of the nicest “extras” was having a GPS with our itinerary preloaded and sent to our first accommodation. It was waiting for us when we arrived and made traveling through the country a breeze. We also appreciated knowing that someone was always looking out for us. Six days into our trip heavy rains caused a rock slide which closed the coastal road. We knew that we would miss our first night in Franz Josef and possibly the Heli-hike we had scheduled. One call to Kori and everything was taken care of. She gave us several options before canceling our reservations and proceeding with a new plan. This detour proved to be a lot of fun. We will always remember watching “Bohemian Rhapsody” in an Art Deco theater while it rained torrentially! The next day we were told that an announcement would be made at 3:00 regarding the road reopening. At 2:15 however, Kori called to say that the road had officially reopened and we could continue our trip south. We loved knowing that even though she was half a world away, Kori was monitoring the road conditions in New Zealand! The rest of our trip was filled with awesome scenery, lovely weather, and gorgeous accommodations. We agree that it was the perfect trip! Thanks, Wendy; we are hooked on the WOW list! Goal: See as much of both islands as possible in 10 days. Highlights: Private tours arranged by Donna and her staff. Because of uncontrollable weather, our flight to Milford Sound was canceled. I called Donna and, within the hour, she had secured a private guide of Queenstown and surrounding area for the day. My husband and his brother had a great time on their charter catching lake trout. A private Hobbiton tour allowed us to take our time and take as many pictures as we wanted. Advice for future travelers: Allow extra connection time for flights to allow for customs entering NZ. Use yelp for accommodations. Unfortunately, Mrs. Damon and her party were in New Zealand at a time when all weather records were being broken by miserable cold and rainy weather. One result was airline cancellations and delays. I am sorry that Mrs. Damon says she would use Yelp for hotels, as it does not offer personalized service if problems arise. Several of the accommodations we booked are not listed on Yelp, and many smaller boutique hotels will not work with Yelp. Donna arranged a 2 week trip to New Zealand for my son and me after his high school graduation. We didn’t know much about New Zealand – but we knew there was a lot of great scenery and outdoor activities and we knew we wanted to see some of the sites associated with the Lord of the Rings movies – because we are both big Lord of the Rings fans. Donna and her team put together a detailed itinerary with great places to stay and great activities. Everything was pre-paid so we didn’t have to worry about that on the trip. Although it was June – which is the beginning of the New Zealand colder season – temperatures were mostly in the 40s and 50s which was comfortable with a jacket. A bonus is that most of our activities were either just us or maybe 3 or 4 other people which made everything much more private and gave us a lot of flexibility. Over and over again we were told that if we there in the summer time (December to February) that everything would be much more crowded. So I think this time of year is a great time to go. We had a car – which I would recommend – some people are intimidated by having to drive on the left – but it really isn’t difficult and you see so much on the road. For a stress-free wonderful New Zealand travel experience, I definitely recommend Donna. Our trip to New Zealand exceeded our expectations. Although we usually plan trips on our own, this one was more than we could handle. During our first conversation with Donna, my husband and I agreed, “she gets us”. The initial itinerary that was created included so many opportunities to exploit our interests and accommodations that were perfect, many of which I doubt we would have found on our own. Despite Donnas assurance to the contrary, we feared the itinerary was too ambitious; but Donna was absolutely correct. We were not over-scheduled, but our days were full. We were amazed when we received our package of travel documents. It was organized and every detail was covered. We also rented a GPS through New Zealand Travel, which they preprogrammed and it proved to be invaluable. Between these items, we never had any difficulties along the way, and potential stress was eliminated. Donna arranged a trip to meet our needs and wants. We had a diversity of activities that fit our interests and attention spans. She chose lodgings that we probably would not have found on our own and we are very glad she knows about them. Very special people at the B&Bs – one made a heart shaped cake for our anniversary. One came to dinner with us to celebrate and filled us with history and knowledge of the Maori culture. We wanted to take the Taieri Gorge train one way and she found a unique way to get us to our next destination – we rode in a bicycle company’s van! The guides she uses are special. They adjusted our day depending on our whims – on our wine tours we also went honey tasting, visited the home of home of lavender grower and a painter. We ate lunch at a Maori village with our guide who is a member of the tribe. There is no way we could have had this experience without Donnas help. Donna Thomas and her team was attentive and worked very closely with me to create an ideal trip, beautiful New Zealand and with multiple budget dependent options. Donna spent the necessary time to develop a finely detailed and individualized itinerary based on the experiences that Rob wanted to have. Her pre-trip descriptions were accurate and expectations were exceeded. The itinerary documents were detailed and included precise maps, directions, stop off points and multiple options for exploration. She sent a spiral-bound atlas on which she had highlighted the entire route. There were stickies were arrows pointing to particular places where she had written personalized notes to point out something that she really liked, be it a restaurant, a town or a scenic highlight. Her written itinerary, which came in a highly organized three-ring binder, had all sorts of personal notes about the things Donna particularly liked. It felt like a very personalized experience based upon her own specific knowledge and preferences. Donna and her daughter Kori did a very good job for us and we saw and did a lot during our time in Sydney and New Zealand’s South Island. For whatever reason, both Australia and New Zealand have become two of the costliest destinations in the world so Donna’s effort to find us beautiful, reasonably priced little B&Bs was much appreciated. Each of the 6 of us in our group had our own favorite moments but for me, the highlights were the following: 1) landing by helicopter on a glacier in Fjordlands National Park and popping open a bottle of very good champagne; 2)climbing the Sydney bridge at twilight and watching the sun disappear; 3)meeting the very interesting owners and other guests at the Lime Tree Resort in Wanaka; 4)eating fresh fish at the Sydney Fish Market; 5)walking and playing golf at some of the country courses in Otago, South Island; 6)celebrating St. Paddys Day in Queenstown and 7)seeing the first heavy snow of the season on the Southern Alps. I needed the help of an expert. I usually plan and execute all our own travel, but for our once-in-a-lifetime trip to New Zealand, I knew I needed the help of an expert. Donna Thomas listened to our likes and dislikes and planned an extraordinary trip with beautiful accommodations and indelible experiences, booking us into places and outings I wouldn’t have discovered on my own. Every tour or outing was either private or in very small groups, so we avoided the “cattle car” tourist experience we abhor. We also opted for the pre-programmed GPS, which we highly recommend. It was such a timesaver and so convenient. Donna also sent an annotated driving atlas, which at first I thought was redundant but it was really helpful when we encountered road closures due to earthquake damage, which the GPS, of course, didn’t know about. Also in the atlas were suggestions on where to eat and to fill the car with petrol. Donna was able to plan separate outings for me and my husband that met our standards (horseback riding for me, fly fishing for him) and also arranged for pick-ups or drivers. That would have been so difficult for me to try and do. We didnt talk to Donna at all on our trip, but our hosts said she would call and check on our status to make sure we were OK. I am completely certain I could not have planned such a memorable trip on my own, and am so thankful to Donna and her team for their help in creating one of the best vacations of our lives! Usually, my wife and I plan our own trips and enjoy the challenge. We like to travel nicely without wasting money. We decided we needed help with New Zealand so we contacted Donna. We are so glad we did! Some agents want to put you in expensive hotels with drivers taking care of your every need at $1,000 plus per day. Donna found us wonderful B&Bs where we had dinner with the host, our guides were the best and most knowledgeable we have experienced (as lawyers we can ask a lot of questions). Her suggestions add so much value to our trip. We have recommended her to several people and would not travel New Zealand without her thoughts. She is a real pro. All I can say about Donna Thomas and her team is WOW! They created the trip of a lifetime and, when it got derailed half-way through due to illness, they reorganized everything and were always available. The trip was planned to perfection. We were given everything we needed and more, and can’t wait to go back and finish what we started. And you can bet that Donna and her team will be the people we call to plan the trip. When it comes to New Zealand, no one knows it better than Donna and her staff. And I’d like to give a special shout-out to Kori, who was amazing at handling everything we needed down to the last detail. Donna Thomas planned a superb trip for my 50th birthday. We traveled to New Zealand’s North Island from February 24 to March 5 2017. The trip turned out to be everything I hoped. We started in Auckland and drove through the country to finish in Hawkes Bay. Donna helped arrange sailing on an Americas Cup boat, kayaking in the ocean with dolphins, private tours at Hobbiton, an exclusive day with the local Maori people and wine tasting in Hawkes Bay. She arranged fantastic locations to stay including B&Bs that really allowed us to meet and get to know the local people. If you get to turn 50, this is the way to celebrate. Thank you, Donna! Would I access her services again? Wendys “WOW” agent, Donna Thomas, was a new experience for me. I am a seasoned, independent traveler with lots of do-it-yourself upbringing. Donna and her team were professional, efficient, flexible, knowledgeable, and accommodating. The tour guides she recommended knew her well and spoke highly of her. I sensed they were all an extension of her. All her recommended tours/experiences were exceptional and unique. She does not end her oversight when you depart on your journey. One of her on-site representatives called our hotel to make sure all was going as planned and assured us of her availability. Donna was aware of a traffic accident in one of our ports of call and checked with our tour guide to make sure we were not impacted by the delay and had indeed made it back to the ship. We knew we had access to assistance, should anything untoward have occurred. Would I access her services again? Absolutely and without hesitation. Over the years she has garnered a wealth of information and contacts which benefit the client greatly. There are always hiccups in travel but with a seasoned agent the hiccups are kept to a minimum and, when they do occur, they are resolved quickly and efficiently. She seemed like she was available 24/7 while we were traveling! Extraordinary! All logistics were excellent and itinerary was detailed. She helped us make choices, gave us great options to choose from, and listened will to our likes/dislikes. Very good communication with Donna and staff. Selection of Accommodations and tours were excellent. Handled all our internal flight, car rental and transfer arrangements. Trip ran smoothly and Donna and her staff checked up on us during our travels. We had a wonderful experience. Trip to New Zealand and Australia, Dec. 2016. Donna Thomas and her team at New Zealand Travel, Inc. recently planned a 6 week trip to New Zealand and Australia for us (March 15 – April 29, 2016 including stays in the Otago Peninsula, Te Anau, Queenstown, Arthurs Pass, Nelson, Blenheim, Rotorua area, and the Coromandel Peninsula in New Zealand and Melbourne, the Barossa Valley, Kangaroo Island, Tasmania, Hayman Island (Great Barrier Reef) and Sydney in Australia). Donna heard our desires and needs (limited mobility traveler) and went out of her way to ensure accommodations, transportation, tours and even restaurants were appropriate. Donna’s caring and attention to detail is unsurpassed. From our first conversation we knew we were in good hands but we were WOWED by her delivery. Donna and her team provided a detailed itinerary, contact information, driving directions, confirmations, restaurant recommendations and reservations before our departure and followed up during our journey to ensure all was going as planned (it was). We are seasoned travelers and typically plan our own vacations but Donna’s knowledge of both countries was so compelling we let her do it for us this time. We can honestly say this was one of the most stress free trips we have taken as we could focus on and enjoy wherever we were without worrying about organizing details for the next few days or weeks. All the planning was done for us in advance and was perfect. You cannot go wrong engaging Donna Thomas — you can only go wrong if you don’t! Donna’s love of New Zealand is infectious which made us excited about our trip and we were not disappointed – all of us want to move to New Zealand. Everything Donna planned for us was special and we thoroughly enjoyed ourselves. The planning was flawless and thorough so the trip went very smoothly. I have already recommended Donna to several friends who are thinking about visiting New Zealand. As a side note, I would like to tell you that Donna also planned a four week trip to Australia for us, which we are in the middle of. AMAZING!! Our accommodations are top notch and our tours have been terrific. The attention to detail required for our trip was herculean and Donna and her staff created an itinerary nothing short of fabulous and included everything we asked for and then some. A memorable experience that has moved to the top of our list of favorite trips. Donna and her staff are to be commended for a job very, very well done!! Donna Thomas and her team were outstanding in planning a four week trip to New Zealand for my husband and I over Christmas. I’ve worked with several of Wendy’s travel experts before and I’ve always been quite happy, but from the very first contact, I could tell that planning with Donna would be my best experience yet. After an initial discussion (all by phone I would add, Donna is in Pennsylvania and we live in Quebec City, Canada) , Donna and her team worked with us to arrange an itinerary and accommodations that suited us perfectly. It took a fair amount of back and forth, but Donna and her team gave us excellent advice and helped us plan our ideal trip. The trip was flawless and exactly what we wanted. We’re thrilled with our experience and I would do it all again in a heart beat. 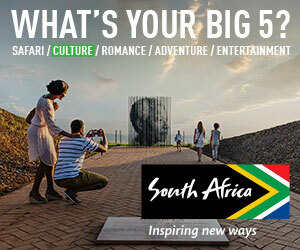 One of a kind itineraries! My husband and I just completed 5 weeks in New Zealand planned by Donna. First of all, you must visit New Zealand. And you have to use Donna and her team at NZ Travel Inc. Donna loves New Zealand and creates one of a kind itineraries! The tours are out of this world (try to do a private or small group, you get so much more out of it) and the lodging was intimate in amazing locations. We toured three islands of NZ, each of them very unique. Our top must dos: Kiwi Dundee in Coromandel Peninsula, Fox Glacier helicopter tour, overnight in the Doubtful Sound, Peninsula Encounters (walk through a sheep farm to penguin and sea lion breeding colonies!) on Otago Peninsula, and bird watching on Ulva Island. The amount of detail provided before we left for NZ was incredible; turn by turn instructions, detailed contact information, even an atlas filled with great info like lunch stops and photo ops. They have really thought of everything. Donna and her team clearly love New Zealand and love what they do! Donna Thomas is a GEM and her team the BEST. We had her plan two trips for us. The first, to New Zealand, covered so much of the natural beauty of that wonderful country. We stayed at wonderful lodges and bed and breakfast accommodations. We were lucky to visit Christchurch before the earthquake. Donna encouraged us to add the Abel Tasman walk to our itinerary, and the scenery was lovely. We saw much of the South Island and also spent time on the North Island, at Bay of Islands at a wonderful B&B with a great chef. We returned to Donna to play our trip to Australia. Everything was A-1. We met some friends in Melbourne for the tennis, and Donna also coordinated their itinerary. All went off without a hitch. Knowing we were meeting special friends, Donna passed on a “perk” to us. Being a well known customer of the Langham in Melbourne, Donna was approached by the hotel that their Presidential Suite would be available to her guests, and she passed that opportunity on to US. How lucky to meet our friends in Melbourne, both itineraries lovingly planned by Donna Thomas, and then stay in the Presidential Suite. Hats off to Donna Thomas, call her for your New Zealand adventure, her expertise is in this destination, but perhaps also for Australia! Donna Thomas and her staff are truly amazing! My wife and I were completely delighted and impressed with their understanding of our wishes, flexibility, thoroughness and attention to detail. Donna visits NZ often and has met face-to-face with her recommended tour agents and accommodations’ staffs. She KNOWS New Zealand. She provides maps, offers suggestions to enhance traveling from place to place, makes travel, event and restaurant reservations and has an insider expertise that’s invaluable. Just one example: on our multiple trips on NZ rail service, she knew and reserved for us (on each leg) the best seats on the best side of the carriage in the best row for sightseeing, noise reduction, and carry-on storage. That’s knowing your product. We traveled to New Zealand from 3/17/15-4/9/15. My wife and I took our granddaughters and we toured both the north and south islands. Donna and Kori customized the trip to our needs and the only thing I can say is “perfection.” I cannot say enough about how well the trip was planned, catering to our every need, and the book with the day-to-day itinerary and vouchers for all the accommodations and tours made life easy. Also, it seemed that everybody knew Donna and we got so many upgrades, the most amazing of which was the Bolton hotel in Wellington, which upgraded us to the Presidential suite—like that could ever happen again to me, ever. All I can say is if you go to New Zealand and don’t use Donna, mistake—big mistake. Ask a trip advisor to plan 3 1/2 weeks in New Zealand for 3 couples in a van, traveling 2600 km with a budget, and what do you get? An extraordinary trip planned by Donna Thomas with the freedom of independent travel, but the detailed attention and planning of a real expert. Our group just returned from our March 2015 adventure full of amazing experiences. Donna worked with me for several months fine-tuning the itinerary to fit our expectations. She made all of the reservations, from quaint, little cabins at the beach on the Coromandel Peninsula to a three-bedroom apartment with a drop-dead gorgeous view in Queenstown. She steered us to Lake Wanaka, a less touristy version of Queenstown, where we took a stunningly beautiful, late-afternoon plane ride over Mt. Aspiring. She suggested an early morning walk around Lake Matheson, near Fox Glacier. The lake was so still, you could barely tell if you were looking at the mountains or their reflection. Donna recommended a cruise on Doubtful Sound, again away from the tourist crowds. It was certainly a highlight. We had a few private guides, each one knowledgable and enthusiastic, to show us the sights he loved. We especially liked our “Best Abel Tasman Day Trip” with Rod. We spent the day on his boat just absorbing all the beauty and fun of the area. Donna and her staff were a pleasure to work with and the results were A+. I still can’t figure out how she arranged such perfect weather. The expertise that Donna and her staff have cannot be outdone. My husband and I recently returned from a 3 week vacation in New Zealand. This is our 3rd trip there and our 2nd that Donna has planned. The expertise that Donna and her staff have cannot be outdone. Many years ago I was a travel agent so I have some sense of the time and energy it takes to plan such a detailed trip. Donna gave us 3 choices in each venue to choose from including descriptions of each property. She has been to each property . They know and respect her. She has taken every excursion that she suggests and her maps tell you where to stop for gas and what to see along the way. Donna and her staff are lovely to work with and I can only say that I hope everyone who travels to New Zealand is lucky enough to work with Donna. My wife and I had planned a trip to Australia during the last two weeks of December 2014. A week before our departure, my wife said if we’re going to travel that far, why not see New Zealand. I had been for work but she never had. So I hastily called Donna. And said I needed a vacation to New Zealand figured out and booked before I departed for Australia in seven days (I didn’t want to be working out logistics for New Zealand while we were in Australia). And boy did she scramble. I asked for a driving vacation around the South Island. There aren’t a lot of options in some of the places we were going but Donna used her expertise and clout to find us last-minute accommodations for this trip, including finding us lodging in Queenstown on New Year’s Eve. Her suggestions of where to go and where to stay were perfect. And the thoroughness of the itinerary was amazing—right down to a driving map with hand-drawn notes of places to stop off. That one amazed us. Donna also provided us a guide for one day, who was amazing and took us four-wheeling by the Shotover River. The highlight was our overnight cruise on Doubtful Sound that Donna recommended over the more crowded Milford Sound. It was amazing and it’s not to be missed.